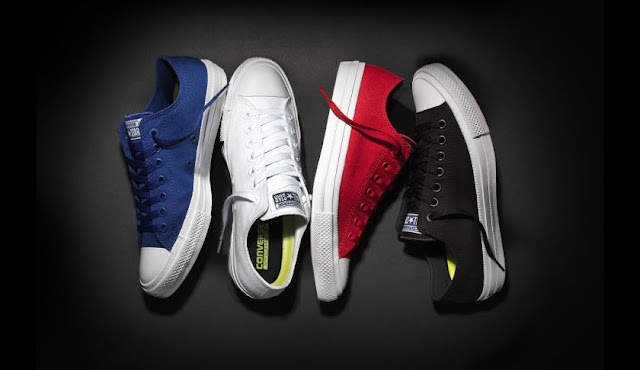 As well as it being hubby's birthday, Tuesday 28 July heralded a rebirth of sorts for the much-loved footwear essential: Cons (well, that's what I call them - they are also known as the Chuck Taylor All Star). The new Chuck Taylor features all-white foxing, a Nike Lunarlon sock liner and perforated microsuede liner, a foam padded collar, and a tongue that apparently never needs straightening (this is the bit about the new design I hate - must everything always be perfect? I love a lopsided tongue!). Converse All-Stars are that iconic piece of footwear melded from canvas and rubber. 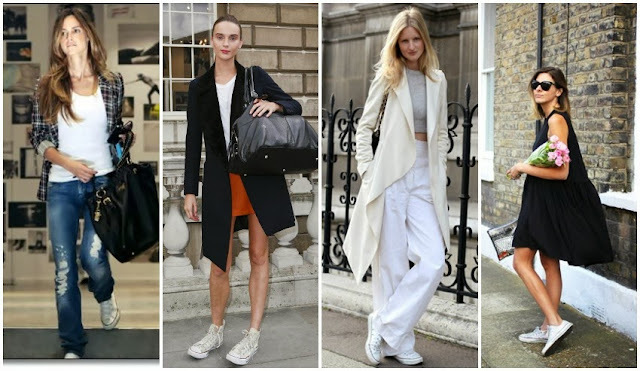 From their debut in 1917 (ostensibly for serious athletes), through to today, Cons epitomise laid-back cool, having been worn on the feet of famous (James Dean, Kurt Cobain, Kristen Stewart, Alexa Chung) to not-so-famous cool kids alike. After a brief hiccup (read bankruptcy) in the 1990s, Converse was bought out by Nike in 2003, heralding a return to covet status that Nike's powerful, deep-reaching marketing department could largely be credited with. Whether this latest incarnation of a timeless classic will be adored or abhorred is yet to be seen. As for me... I kinda like your old stuff better than your new stuff, Converse.